Describe how laser emission is produced. Many properties of matter and phenomena in nature are directly related to atomic energy levels and their associated excitations and de-excitations. The color of a rose, the output of a laser, and the transparency of air are but a few examples. (See Figure 1.) While it may not appear that glow-in-the-dark pajamas and lasers have much in common, they are in fact different applications of similar atomic de-excitations. The color of a material is due to the ability of its atoms to absorb certain wavelengths while reflecting or reemitting others. A simple red material, for example a tomato, absorbs all visible wavelengths except red. This is because the atoms of its hydrocarbon pigment (lycopene) have levels separated by a variety of energies corresponding to all visible photon energies except red. Air is another interesting example. It is transparent to visible light, because there are few energy levels that visible photons can excite in air molecules and atoms. Visible light, thus, cannot be absorbed. Furthermore, visible light is only weakly scattered by air, because visible wavelengths are so much greater than the sizes of the air molecules and atoms. Light must pass through kilometers of air to scatter enough to cause red sunsets and blue skies. The ability of a material to emit various wavelengths of light is similarly related to its atomic energy levels. 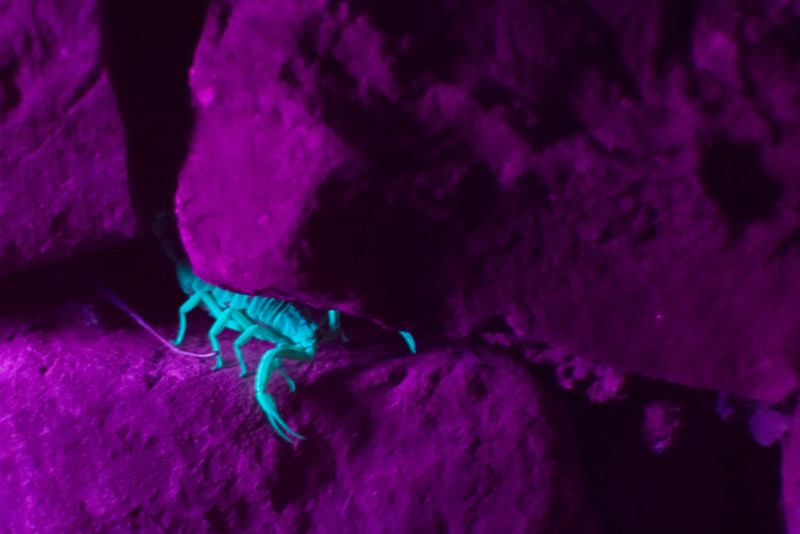 Figure 2 shows a scorpion illuminated by a UV lamp, sometimes called a black light. Some rocks also glow in black light, the particular colors being a function of the rock’s mineral composition. Black lights are also used to make certain posters glow. In the fluorescence process, an atom is excited to a level several steps above its ground state by the absorption of a relatively high-energy UV photon. This is called atomic excitation. Once it is excited, the atom can de-excite in several ways, one of which is to re-emit a photon of the same energy as excited it, a single step back to the ground state. This is called atomic de-excitation. All other paths of de-excitation involve smaller steps, in which lower-energy (longer wavelength) photons are emitted. Some of these may be in the visible range, such as for the scorpion in Figure 2. Fluorescence is defined to be any process in which an atom or molecule, excited by a photon of a given energy, and de-excites by emission of a lower-energy photon. Fluorescence can be induced by many types of energy input. Fluorescent paint, dyes, and even soap residues in clothes make colors seem brighter in sunlight by converting some UV into visible light. X rays can induce fluorescence, as is done in x-ray fluoroscopy to make brighter visible images. Electric discharges can induce fluorescence, as in so-called neon lights and in gas-discharge tubes that produce atomic and molecular spectra. Common fluorescent lights use an electric discharge in mercury vapor to cause atomic emissions from mercury atoms. The inside of a fluorescent light is coated with a fluorescent material that emits visible light over a broad spectrum of wavelengths. By choosing an appropriate coating, fluorescent lights can be made more like sunlight or like the reddish glow of candlelight, depending on needs. Fluorescent lights are more efficient in converting electrical energy into visible light than incandescent filaments (about four times as efficient), the blackbody radiation of which is primarily in the infrared due to temperature limitations. This atom is excited to one of its higher levels by absorbing a UV photon. It can de-excite in a single step, re-emitting a photon of the same energy, or in several steps. The process is called fluorescence if the atom de-excites in smaller steps, emitting energy different from that which excited it. Fluorescence can be induced by a variety of energy inputs, such as UV, x-rays, and electrical discharge. Fluorescence has many uses in biology and medicine. 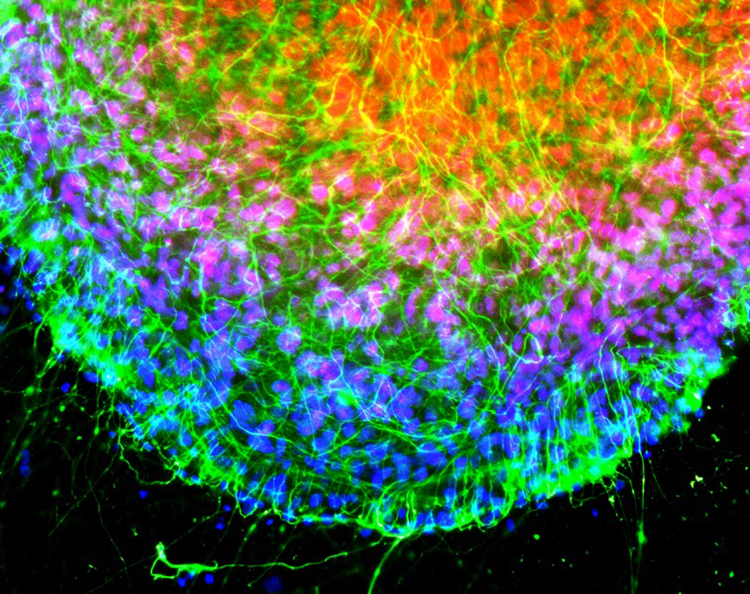 It is commonly used to label and follow a molecule within a cell. Such tagging allows one to study the structure of DNA and proteins. Fluorescent dyes and antibodies are usually used to tag the molecules, which are then illuminated with UV light and their emission of visible light is observed. Since the fluorescence of each element is characteristic, identification of elements within a sample can be done this way. Figure 3 shows a commonly used fluorescent dye called fluorescein. 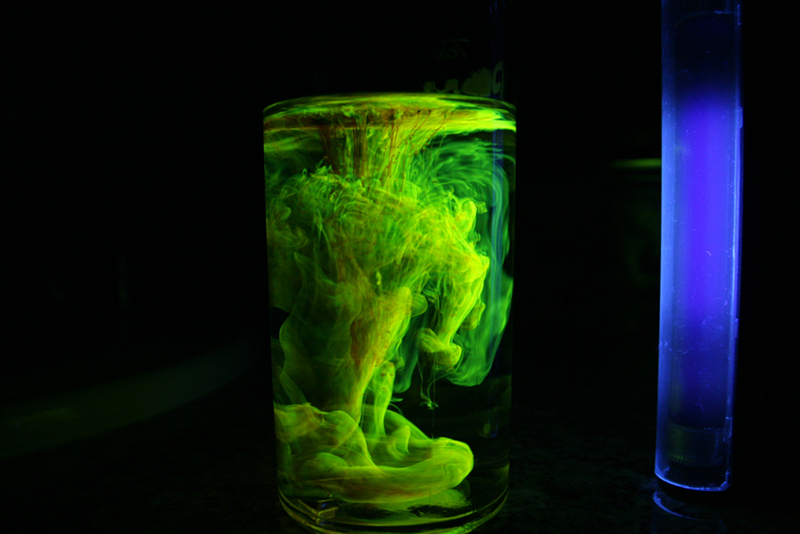 Below that, Figure 4 reveals the diffusion of a fluorescent dye in water by observing it under UV light. Lasers today are commonplace. Lasers are used to read bar codes at stores and in libraries, laser shows are staged for entertainment, laser printers produce high-quality images at relatively low cost, and lasers send prodigious numbers of telephone messages through optical fibers. Among other things, lasers are also employed in surveying, weapons guidance, tumor eradication, retinal welding, and for reading music CDs and computer CD-ROMs. Why do lasers have so many varied applications? The answer is that lasers produce single-wavelength EM radiation that is also very coherent—that is, the emitted photons are in phase. Laser output can, thus, be more precisely manipulated than incoherent mixed-wavelength EM radiation from other sources. The reason laser output is so pure and coherent is based on how it is produced, which in turn depends on a metastable state in the lasing material. Suppose a material had the energy levels shown in Figure 7. When energy is put into a large collection of these atoms, electrons are raised to all possible levels. Most return to the ground state in less than about , but those in the metastable state linger. This includes those electrons originally excited to the metastable state and those that fell into it from above. It is possible to get a majority of the atoms into the metastable state, a condition called a population inversion. Figure 7. (a) Energy-level diagram for an atom showing the first few states, one of which is metastable. (b) Massive energy input excites atoms to a variety of states. 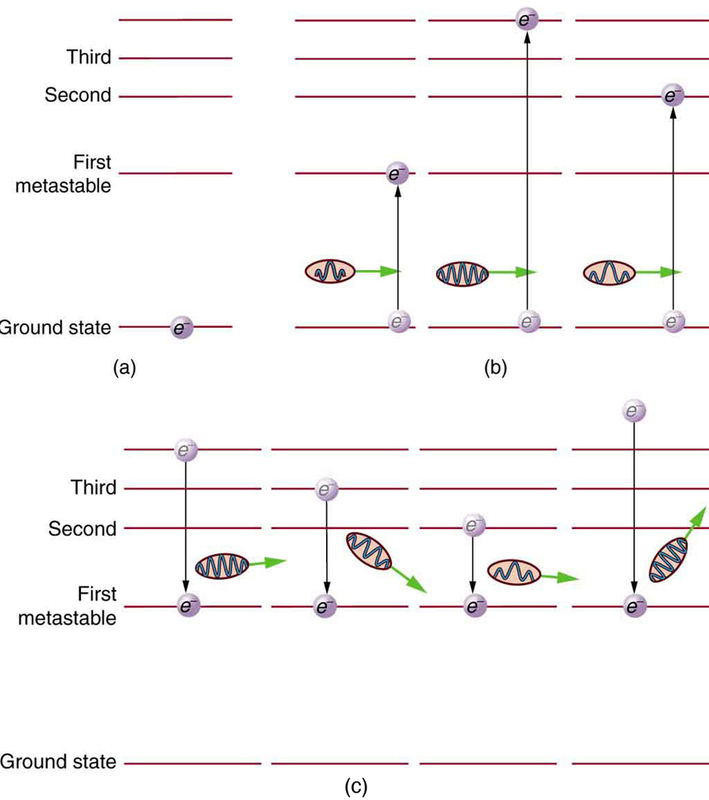 (c) Most states decay quickly, leaving electrons only in the metastable and ground state. If a majority of electrons are in the metastable state, a population inversion has been achieved. Once a population inversion is achieved, a very interesting thing can happen, as shown in Figure 8. An electron spontaneously falls from the metastable state, emitting a photon. This photon finds another atom in the metastable state and stimulates it to decay, emitting a second photon of the same wavelength and in phase with the first, and so on. Stimulated emission is the emission of electromagnetic radiation in the form of photons of a given frequency, triggered by photons of the same frequency. For example, an excited atom, with an electron in an energy orbit higher than normal, releases a photon of a specific frequency when the electron drops back to a lower energy orbit. If this photon then strikes another electron in the same high-energy orbit in another atom, another photon of the same frequency is released. The emitted photons and the triggering photons are always in phase, have the same polarization, and travel in the same direction. The probability of absorption of a photon is the same as the probability of stimulated emission, and so a majority of atoms must be in the metastable state to produce energy. Einstein (again Einstein, and back in 1917!) was one of the important contributors to the understanding of stimulated emission of radiation. Among other things, Einstein was the first to realize that stimulated emission and absorption are equally probable. The laser acts as a temporary energy storage device that subsequently produces a massive energy output of single-wavelength, in-phase photons. Figure 8. One atom in the metastable state spontaneously decays to a lower level, producing a photon that goes on to stimulate another atom to de-excite. The second photon has exactly the same energy and wavelength as the first and is in phase with it. Both go on to stimulate the emission of other photons. A population inversion is necessary for there to be a net production rather than a net absorption of the photons. The name laser is an acronym for light amplification by stimulated emission of radiation, the process just described. The process was proposed and developed following the advances in quantum physics. A joint Nobel Prize was awarded in 1964 to American Charles Townes (1915–), and Nikolay Basov (1922–2001) and Aleksandr Prokhorov (1916–2002), from the Soviet Union, for the development of lasers. The Nobel Prize in 1981 went to Arthur Schawlow (1921-1999) for pioneering laser applications. The original devices were called masers, because they produced microwaves. The first working laser was created in 1960 at Hughes Research labs (CA) by T. Maiman. It used a pulsed high-powered flash lamp and a ruby rod to produce red light. 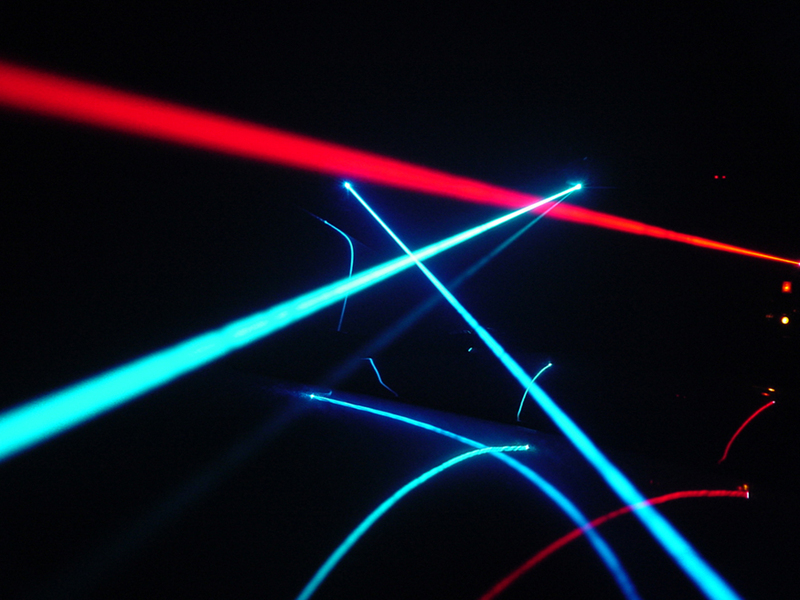 Today the name laser is used for all such devices developed to produce a variety of wavelengths, including microwave, infrared, visible, and ultraviolet radiation. Figure 9 shows how a laser can be constructed to enhance the stimulated emission of radiation. Energy input can be from a flash tube, electrical discharge, or other sources, in a process sometimes called optical pumping. A large percentage of the original pumping energy is dissipated in other forms, but a population inversion must be achieved. 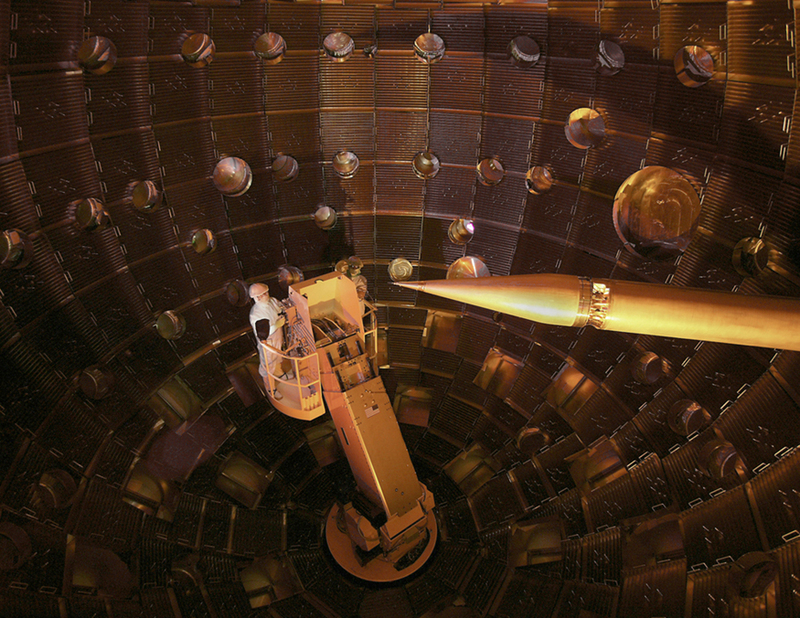 Mirrors can be used to enhance stimulated emission by multiple passes of the radiation back and forth through the lasing material. One of the mirrors is semitransparent to allow some of the light to pass through. The laser output from a laser is a mere 1% of the light passing back and forth in a laser. Figure 9. Typical laser construction has a method of pumping energy into the lasing material to produce a population inversion. (a) Spontaneous emission begins with some photons escaping and others stimulating further emissions. (b) and (c) Mirrors are used to enhance the probability of stimulated emission by passing photons through the material several times. Lasers are constructed from many types of lasing materials, including gases, liquids, solids, and semiconductors. But all lasers are based on the existence of a metastable state or a phosphorescent material. Some lasers produce continuous output; others are pulsed in bursts as brief as . Some laser outputs are fantastically powerful—some greater than —but the more common, everyday lasers produce something on the order of . The helium-neon laser that produces a familiar red light is very common. Figure 10 shows the energy levels of helium and neon, a pair of noble gases that work well together. An electrical discharge is passed through a helium-neon gas mixture in which the number of atoms of helium is ten times that of neon. The first excited state of helium is metastable and, thus, stores energy. This energy is easily transferred by collision to neon atoms, because they have an excited state at nearly the same energy as that in helium. That state in neon is also metastable, and this is the one that produces the laser output. (The most likely transition is to the nearby state, producing 1.96 eV photons, which have a wavelength of 633 nm and appear red.) A population inversion can be produced in neon, because there are so many more helium atoms and these put energy into the neon. Helium-neon lasers often have continuous output, because the population inversion can be maintained even while lasing occurs. Probably the most common lasers in use today, including the common laser pointer, are semiconductor or diode lasers, made of silicon. Here, energy is pumped into the material by passing a current in the device to excite the electrons. Special coatings on the ends and fine cleavings of the semiconductor material allow light to bounce back and forth and a tiny fraction to emerge as laser light. Diode lasers can usually run continually and produce outputs in the milliwatt range. Figure 10. Energy levels in helium and neon. In the common helium-neon laser, an electrical discharge pumps energy into the metastable states of both atoms. The gas mixture has about ten times more helium atoms than neon atoms. Excited helium atoms easily de-excite by transferring energy to neon in a collision. A population inversion in neon is achieved, allowing lasing by the neon to occur. There are many medical applications of lasers. Lasers have the advantage that they can be focused to a small spot. They also have a well-defined wavelength. Many types of lasers are available today that provide wavelengths from the ultraviolet to the infrared. This is important, as one needs to be able to select a wavelength that will be preferentially absorbed by the material of interest. Objects appear a certain color because they absorb all other visible colors incident upon them. What wavelengths are absorbed depends upon the energy spacing between electron orbitals in that molecule. Unlike the hydrogen atom, biological molecules are complex and have a variety of absorption wavelengths or lines. But these can be determined and used in the selection of a laser with the appropriate wavelength. Water is transparent to the visible spectrum but will absorb light in the UV and IR regions. Blood (hemoglobin) strongly reflects red but absorbs most strongly in the UV. Laser surgery uses a wavelength that is strongly absorbed by the tissue it is focused upon. 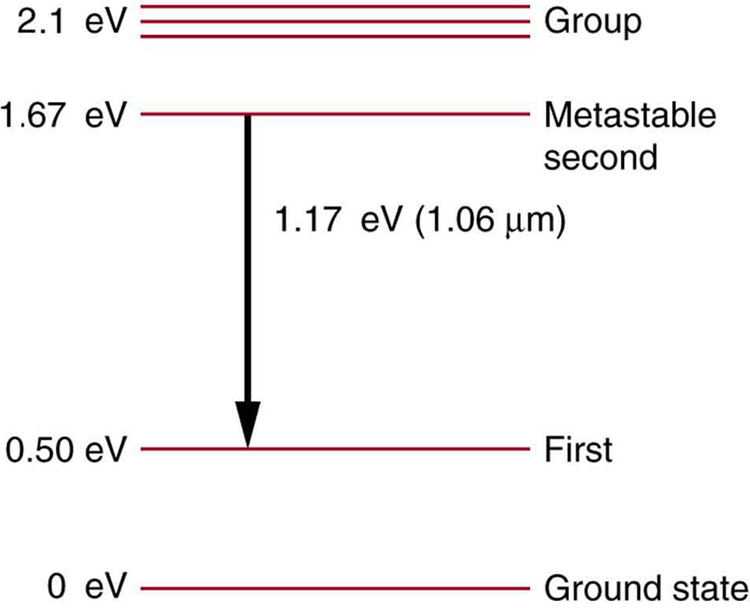 One example of a medical application of lasers is shown in Figure 11. A detached retina can result in total loss of vision. Burns made by a laser focused to a small spot on the retina form scar tissue that can hold the retina in place, salvaging the patient’s vision. Other light sources cannot be focused as precisely as a laser due to refractive dispersion of different wavelengths. Similarly, laser surgery in the form of cutting or burning away tissue is made more accurate because laser output can be very precisely focused and is preferentially absorbed because of its single wavelength. Depending upon what part or layer of the retina needs repairing, the appropriate type of laser can be selected. 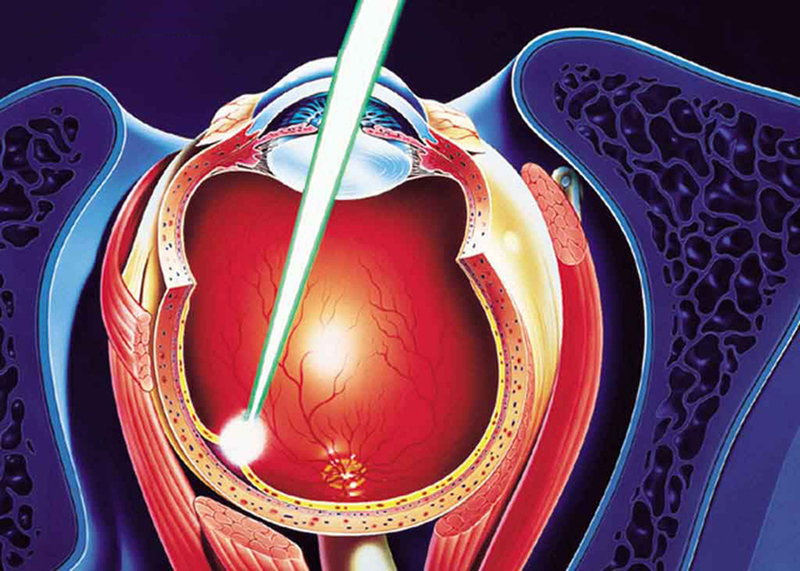 For the repair of tears in the retina, a green argon laser is generally used. This light is absorbed well by tissues containing blood, so coagulation or “welding” of the tear can be done. Figure 11. A detached retina is burned by a laser designed to focus on a small spot on the retina, the resulting scar tissue holding it in place. The lens of the eye is used to focus the light, as is the device bringing the laser output to the eye. In dentistry, the use of lasers is rising. Lasers are most commonly used for surgery on the soft tissue of the mouth. They can be used to remove ulcers, stop bleeding, and reshape gum tissue. Their use in cutting into bones and teeth is not quite so common; here the erbium YAG (yttrium aluminum garnet) laser is used. The massive combination of lasers shown in Figure 12 can be used to induce nuclear fusion, the energy source of the sun and hydrogen bombs. Since lasers can produce very high power in very brief pulses, they can be used to focus an enormous amount of energy on a small glass sphere containing fusion fuel. Not only does the incident energy increase the fuel temperature significantly so that fusion can occur, it also compresses the fuel to great density, enhancing the probability of fusion. The compression or implosion is caused by the momentum of the impinging laser photons. Music CDs are now so common that vinyl records are quaint antiquities. CDs (and DVDs) store information digitally and have a much larger information-storage capacity than vinyl records. An entire encyclopedia can be stored on a single CD. Figure 13 illustrates how the information is stored and read from the CD. Pits made in the CD by a laser can be tiny and very accurately spaced to record digital information. These are read by having an inexpensive solid-state infrared laser beam scatter from pits as the CD spins, revealing their digital pattern and the information encoded upon them. Figure 13. 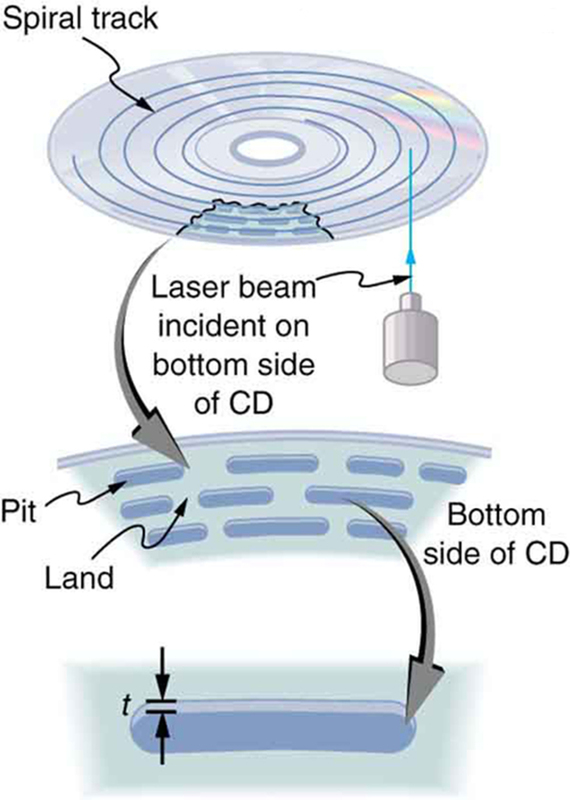 A CD has digital information stored in the form of laser-created pits on its surface. These in turn can be read by detecting the laser light scattered from the pit. Large information capacity is possible because of the precision of the laser. Shorter-wavelength lasers enable greater storage capacity. Holograms, such as those in Figure 14, are true three-dimensional images recorded on film by lasers. Holograms are used for amusement, decoration on novelty items and magazine covers, security on credit cards and driver’s licenses (a laser and other equipment is needed to reproduce them), and for serious three-dimensional information storage. You can see that a hologram is a true three-dimensional image, because objects change relative position in the image when viewed from different angles. The name hologram means “entire picture” (from the Greek holo, as in holistic), because the image is three-dimensional. Holography is the process of producing holograms and, although they are recorded on photographic film, the process is quite different from normal photography. 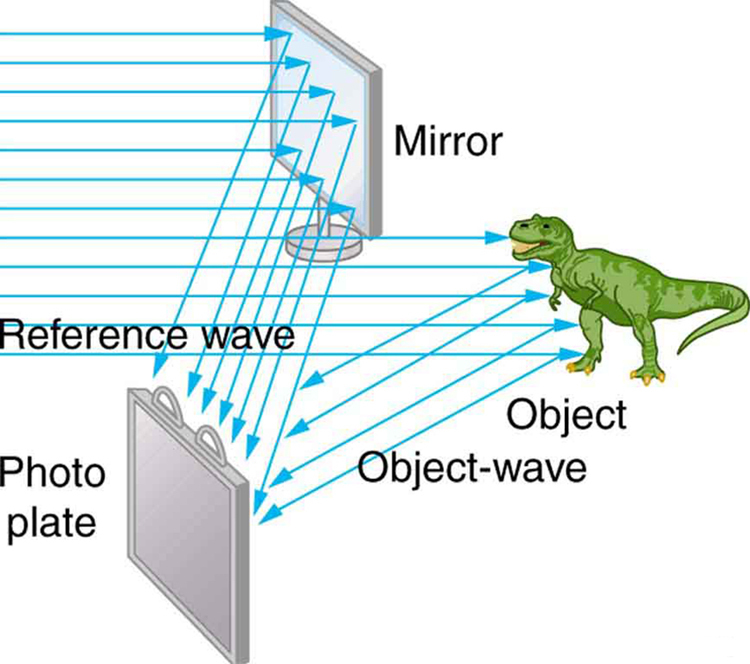 Holography uses light interference or wave optics, whereas normal photography uses geometric optics. 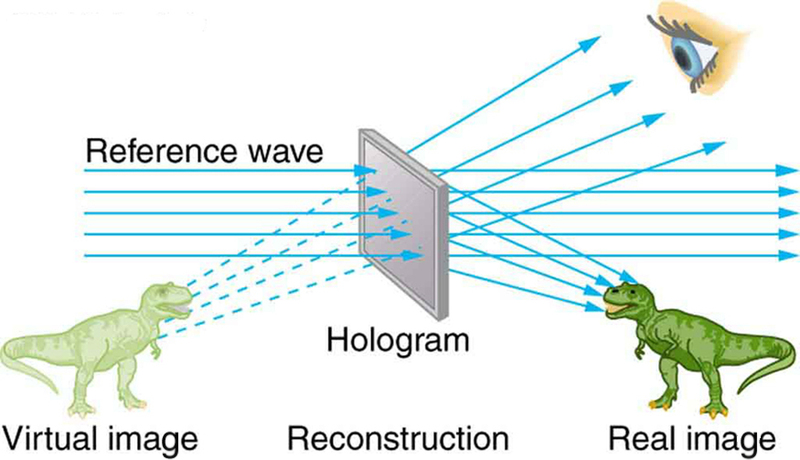 Figure 15 shows one method of producing a hologram. Coherent light from a laser is split by a mirror, with part of the light illuminating the object. The remainder, called the reference beam, shines directly on a piece of film. Light scattered from the object interferes with the reference beam, producing constructive and destructive interference. As a result, the exposed film looks foggy, but close examination reveals a complicated interference pattern stored on it. Where the interference was constructive, the film (a negative actually) is darkened. Holography is sometimes called lensless photography, because it uses the wave characteristics of light as contrasted to normal photography, which uses geometric optics and so requires lenses. Figure 15. Production of a hologram. Single-wavelength coherent light from a laser produces a well-defined interference pattern on a piece of film. The laser beam is split by a partially silvered mirror, with part of the light illuminating the object and the remainder shining directly on the film. Light falling on a hologram can form a three-dimensional image. The process is complicated in detail, but the basics can be understood as shown in Figure 16, in which a laser of the same type that exposed the film is now used to illuminate it. The myriad tiny exposed regions of the film are dark and block the light, while less exposed regions allow light to pass. The film thus acts much like a collection of diffraction gratings with various spacings. Light passing through the hologram is diffracted in various directions, producing both real and virtual images of the object used to expose the film. The interference pattern is the same as that produced by the object. Moving your eye to various places in the interference pattern gives you different perspectives, just as looking directly at the object would. 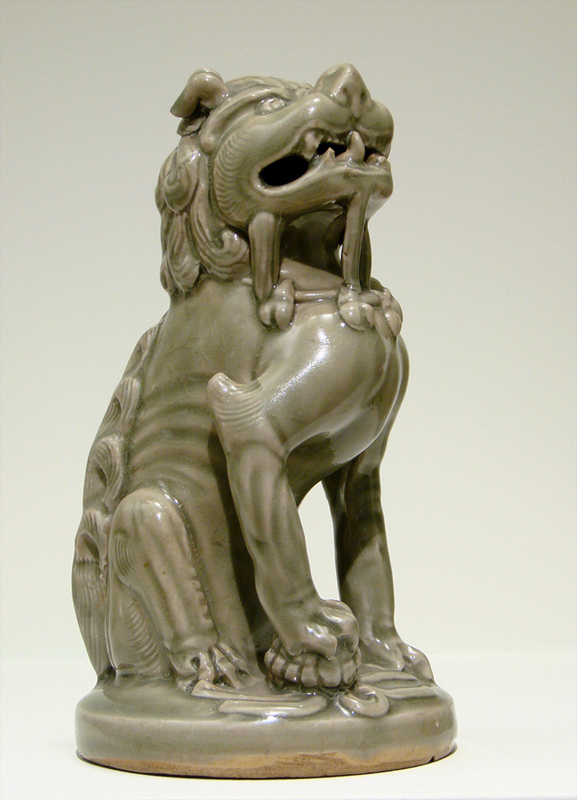 The image thus looks like the object and is three-dimensional like the object. Figure 16. A transmission hologram is one that produces real and virtual images when a laser of the same type as that which exposed the hologram is passed through it. Diffraction from various parts of the film produces the same interference pattern as the object that was used to expose it. The hologram illustrated in Figure 16 is a transmission hologram. 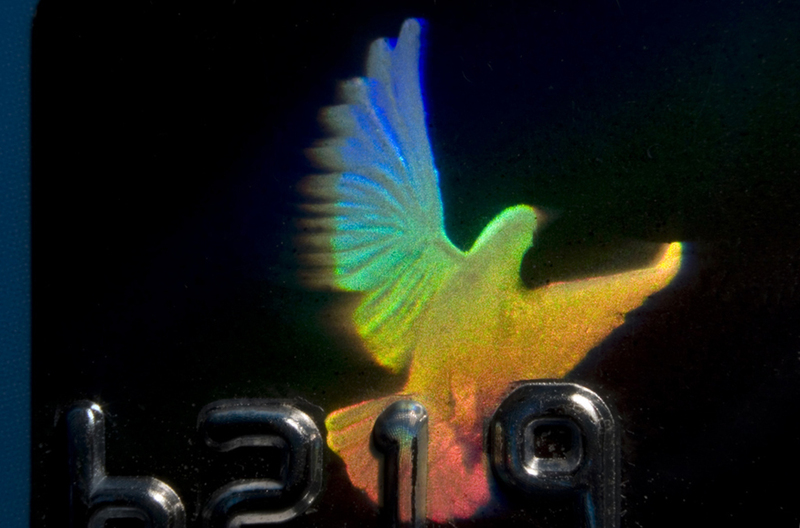 Holograms that are viewed with reflected light, such as the white light holograms on credit cards, are reflection holograms and are more common. White light holograms often appear a little blurry with rainbow edges, because the diffraction patterns of various colors of light are at slightly different locations due to their different wavelengths. Further uses of holography include all types of 3-D information storage, such as of statues in museums and engineering studies of structures and 3-D images of human organs. Invented in the late 1940s by Dennis Gabor (1900–1970), who won the 1971 Nobel Prize in Physics for his work, holography became far more practical with the development of the laser. Since lasers produce coherent single-wavelength light, their interference patterns are more pronounced. The precision is so great that it is even possible to record numerous holograms on a single piece of film by just changing the angle of the film for each successive image. This is how the holograms that move as you walk by them are produced—a kind of lensless movie. In a similar way, in the medical field, holograms have allowed complete 3-D holographic displays of objects from a stack of images. Storing these images for future use is relatively easy. With the use of an endoscope, high-resolution 3-D holographic images of internal organs and tissues can be made. An important atomic process is fluorescence, defined to be any process in which an atom or molecule is excited by absorbing a photon of a given energy and de-excited by emitting a photon of a lower energy. Some states live much longer than others and are termed metastable. Phosphorescence is the de-excitation of a metastable state. Lasers produce coherent single-wavelength EM radiation by stimulated emission, in which a metastable state is stimulated to decay. 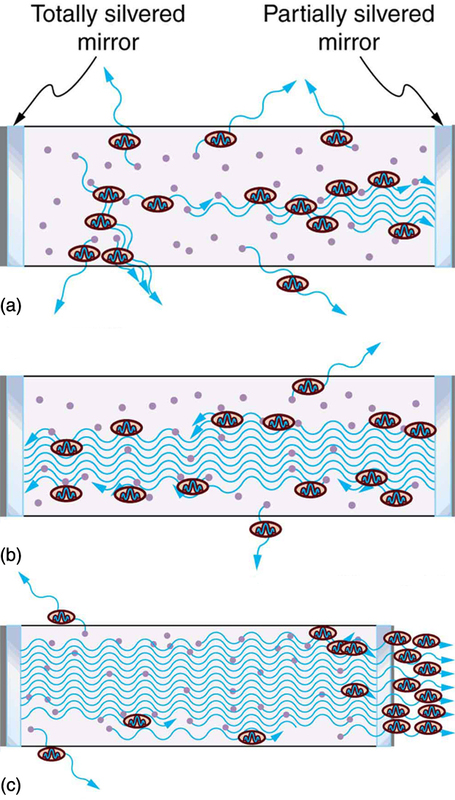 Lasing requires a population inversion, in which a majority of the atoms or molecules are in their metastable state. 1: How do the allowed orbits for electrons in atoms differ from the allowed orbits for planets around the sun? Explain how the correspondence principle applies here. 2: Atomic and molecular spectra are discrete. What does discrete mean, and how are discrete spectra related to the quantization of energy and electron orbits in atoms and molecules? 3: Hydrogen gas can only absorb EM radiation that has an energy corresponding to a transition in the atom, just as it can only emit these discrete energies. When a spectrum is taken of the solar corona, in which a broad range of EM wavelengths are passed through very hot hydrogen gas, the absorption spectrum shows all the features of the emission spectrum. But when such EM radiation passes through room-temperature hydrogen gas, only the Lyman series is absorbed. Explain the difference. 5: The coating on the inside of fluorescent light tubes absorbs ultraviolet light and subsequently emits visible light. An inventor claims that he is able to do the reverse process. Is the inventor’s claim possible? 6: What is the difference between fluorescence and phosphorescence? 7: How can you tell that a hologram is a true three-dimensional image and that those in 3-D movies are not? 1: Figure 10 shows the energy-level diagram for neon. (a) Verify that the energy of the photon emitted when neon goes from its metastable state to the one immediately below is equal to 1.96 eV. (b) Show that the wavelength of this radiation is 633 nm. (c) What wavelength is emitted when the neon makes a direct transition to its ground state? 2: A helium-neon laser is pumped by electric discharge. What wavelength electromagnetic radiation would be needed to pump it? See Figure 10 for energy-level information. 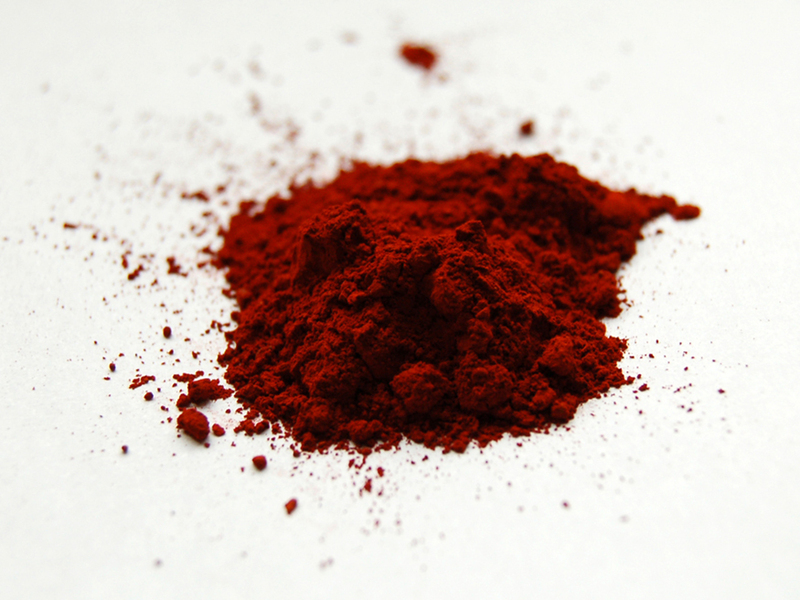 3: Ruby lasers have chromium atoms doped in an aluminum oxide crystal. The energy level diagram for chromium in a ruby is shown in Figure 17. What wavelength is emitted by a ruby laser? Figure 17. 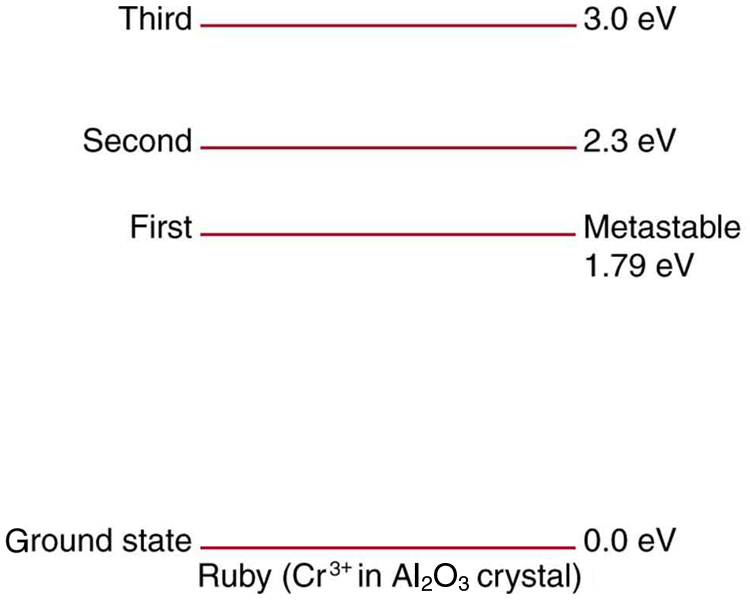 Chromium atoms in an aluminum oxide crystal have these energy levels, one of which is metastable. This is the basis of a ruby laser. Visible light can pump the atom into an excited state above the metastable state to achieve a population inversion. 4: (a) What energy photons can pump chromium atoms in a ruby laser from the ground state to its second and third excited states? (b) What are the wavelengths of these photons? Verify that they are in the visible part of the spectrum. 5: Some of the most powerful lasers are based on the energy levels of neodymium in solids, such as glass, as shown in Figure 18. (a) What average wavelength light can pump the neodymium into the levels above its metastable state? (b) Verify that the 1.17 eV transition produces radiation. Figure 18. Neodymium atoms in glass have these energy levels, one of which is metastable. The group of levels above the metastable state is convenient for achieving a population inversion, since photons of many different energies can be absorbed by atoms in the ground state. 30.5 Applications of Atomic Excitations and De-Excitations by OpenStax is licensed under a Creative Commons Attribution 4.0 International License, except where otherwise noted.